The annual Beat the Streets events, which have taken place in May of each year since 2010, have become an important and fun tradition. Important, because they put wrestling on center-stage and in the world spotlight. Everyday people who might not have been exposed to the sport can’t help but become intrigued at what they’re witnessing, especially on the occasions when the meets have been held in Times Square, as last night’s was. They are fun because the organizers often do a fantastic job of bringing in talented international athletes to go against the US contingent, whomever that comprises in a given year. These Beat the Streets match-ups are usually a great chance for American wrestlers to test themselves in a unique atmosphere going up against top-flight opponents who they may see (or have seen) somewhere else in their travels. And of course, the cause couldn’t be any better. Beat the Streets is an organization focused on providing funding, training, and wrestling competition for inner-city youths. 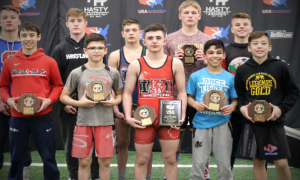 Once primarily a New York thing, the message has spread elsewhere around the country and thousands of kids who probably never would have considered wrestling have become outstanding representatives of the sport as well as their communities. It’s a terrific opportunity for the participants and an absolutely worthwhile endeavor for the fine folks who make it happen. But in the context of the event itself, the matches, the athletes and everything else, it is incomplete and bereft of illustrating a true scope of America’s top wrestlers. Why? Because Greco Roman athletes have not been given their fair chance to shine. Since the event’s inception, there have been seven Greco Roman matches held at Beat the Streets. Seven. Now, 2014’s showcase doesn’t count, what with the Greco World Cup having been held a week later but even still, that is a low number. Very low. Painfully low. However, it is also a perfect number. It is perfect because it shows the perception problem that many wrestling influencers are unfortunately burdened by. 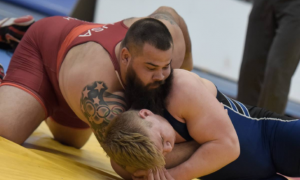 The United States Greco Roman Wrestling Team this year will enter the Olympics with four out of a possible six athletes. They are: Jesse Thielke (59 kg), Andy Bisek (75 kg), Ben Provisor (85 kg), and Robby Smith (130 kg). With four athletes and two spots not filled, it means the US team did not qualify two weights. Some hard luck has to do with that, but it is what it is. Nevertheless, the four athletes who will be competing in Rio are not “also-ran’s.” Thielke just beat two Olympians (and really four if you count the Trials) to lock down his berth. Bisek? No big deal, the man has two consecutive bronze medals to his name and has stomped virtually all domestic competition going on four years. 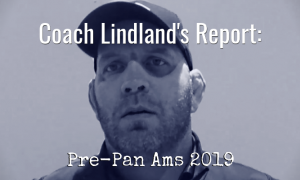 Ben Provisor, the one Team USA member who has already been an Olympian, came back from injury to win his Trials in one of the most stacked weights over the last two quads. And then there is Robby Smith, fifth at last year’s Worlds and very much a live contender for a medal in a fairly top-heavy weight division. 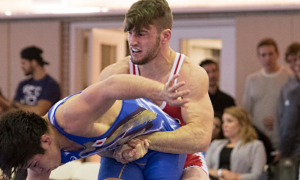 In other words, the US Greco team is showing off four wrestlers who have legitimate chances to make very big noise come August. But only one was chosen this year for Times Square – Bisek. Of course, Bisek is an easy selection. He’s successful, popular, and one of the very best on the planet. He also had to earn his status the hard way. Thielke is just coming off of a grueling qualifying run, so his exclusion is understandable. There is little question he would have appeared if asked, but he could use some rest. 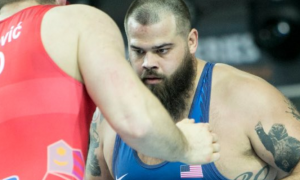 Provisor was a machine at the Olympic Trials and has never looked better at any other time in his career. Robby Smith shouldn’t have been holding a mic last night, he should have been holding a bodylock. You get the picture of all this, surely. How about leaving the Olympians out of this altogether? Up and coming or already-established athletes like Ryan Mango, Pat Smith, G’Angelo Hancock, Corey Hope, and Pat Martinez are more than worthy of increased exposure. How about Juniors like Kamal Bey and Taylor LaMont? What is the issue? Are they too exciting? 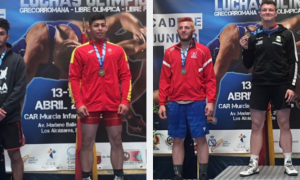 It is pandemic yet indicative of the cultural issues facing Greco Roman wrestling in the United States, because this isn’t all about hardware. While it’s true that it has been a long time since an Olympic gold medal was draped around an American neck, Greco being singled out for not producing enough medalists is a just touch short-sighted. After all, it was the Greco Roman team which won the World Championship in 2007. The last time an American squad had accomplished that it was the women’s freestyle team in 1999. The freestyle men haven’t brought home a world title since 1995. But some do point to the subsequent disappointment following that 2007 Greco championship as perhaps being a catalyst for a dry spell of sorts. Beijing yielded only one medal, an improbable run to bronze by Adam Wheeler. London in 2012 brought with it much hope and also turned into a letdown. However, it is a program on the rise. More and more US competitors are placing or winning at international events. There is a new groundswell of support emanating from a loyal fanbase. Plus, this is an Olympic team very much capable of leaving a lasting impression on the 2016 games. It hasn’t been easy; it’s required a steady rise and an adjustment in approach. The only downside to any of this is that many cannot see the incremental successes because they, too, are held back by preconceived notions and an inherent lack of expectations. That means the problem resides in misunderstanding. 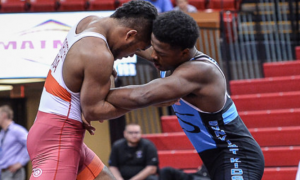 The comparison game highlights the sticking points: There is further distance between American folkstyle and Greco Roman than there is between the former and freestyle. Therefore, the “casual” wrestling fan or advocate might be confused. And because of that fact, it is much easier for event organizers to promote freestyle competition and throw shade on Greco Roman. 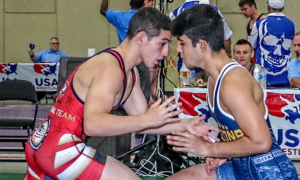 These people think Greco is just wrestling without leg attacks, they haven’t yet given themselves the rightful chance to learn how it is so much more than that. Please don’t mistake the above for bitterness. There isn’t any. As promoters of Greco, specifically on the US side of the things, we get it. But let’s just not make this about international success and medal counts. It isn’t an arms race, and freestyle and Greco shouldn’t be lumped into being looked at as competing styles. Rather, as with everything else, it rests on education. Learn what you are watching. Experience true Greco Roman wrestling in its purest form and become acquainted with what is regarded internationally as the most exciting version of the sport. And then come back to us with an honest assessment of what you saw. While we’re at it, how about offering up a platform for your country’s finest athletes to show what they can do? You cannot expect Greco Roman wrestling to grow in this country if its opportunities to do so are continually stifled. Event organizers and influencers can do better than that. In a sense, we all could, which is the biggest part of the problem.